It's been gridlock this week at times for some drivers in Conception Bay South, with road repairs underway. Our queston for you: Can we do road repairs in a better way? Ramona's guest in studio is none other than Cecil Haire, the traffic reporter for the St. John's Morning Show. Phone in! 42 per cent of the people in Nfld and Lab who owe child or spousal support are in arrears on their payments. And that adds up to $23 million dollars. Our question for you: Are there ways to get more deadbeat parents to pay up? Ramona's guests are Yvette Walton of the NL Single Parents' Association and lawyer Melanie Del Rizzo. Phone in with your thoughts. It's the perfect time of year to get your house ready for the colder weather that will head our way later on. Do you have questions about making your house more energy efficient? Brad Dunn of Amerispec NL and Ryan Osmond of RONA will be in studio with Ramona, sharing their expertise. Phone in! Canadian Blood Services put out an urgent call for blood donors a few days ago, saying supplies were critically low. Which brings us to this question: Are there ways to get more people to give blood? Ramona's guests are Peter MacDonald of Cdn Blood Services, and long-time donor, Morley Reid. Phone in! As the St. John's Storytelling Festival kicks off, and as Andy Jones launches his latest Jack tale, we're asking if there's a storyteller in your family. Andy will be in studio, with some storytelling of his own, and to take your calls. Get your Friday pointed in the right direction! It's an incredible landmark for a remarkable show: CBC Television's Land and Sea is celebrating its 50th anniversary. And we're asking you if you have favourite episodes. Pauline Thornhill and Dave Quinton will be in studio to take your calls! Here's our question for you: are you seeing plastics in ponds or in the ocean? There's lots of it there, and it's having an impact on wildlife and possibly even human health. Ramona's guest is MUN sociologist Max Liboiron, who is trying to track the places where plastic is winding up in the water here. Phone in! Are restaurants in Newfoundland and Labrador expensive? 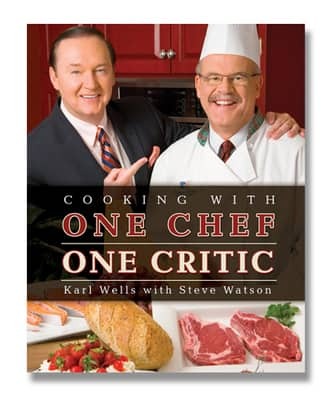 Ramona's guest is food critic Karl Wells (http://www.karlwells.com/), who is a columnist with The Telegram, and also the host of One Chef, One Critic. Do you have a story to tell about your Town? Tale of a Town Canada is a transmedia storytelling initiative that celebrates people and places through the gathering, mapping and theatrical presentation of our living memories of main streets and downtowns across Canada. The story mobile has already been in Labrador. Now it's in St. john's. Charles Ketchabaw is with Tale of a Town. He's looking forward to hearing your stories about shops that are no longer there and the store owners who made shopping such an unforgettable experience. Make sure you pull those blue suede shoes out of the closet. You might want to dust off that white sequinned pant-suit too. Today's crosstalk is all about the "King of Rock and Roll" - Elvis Presley. 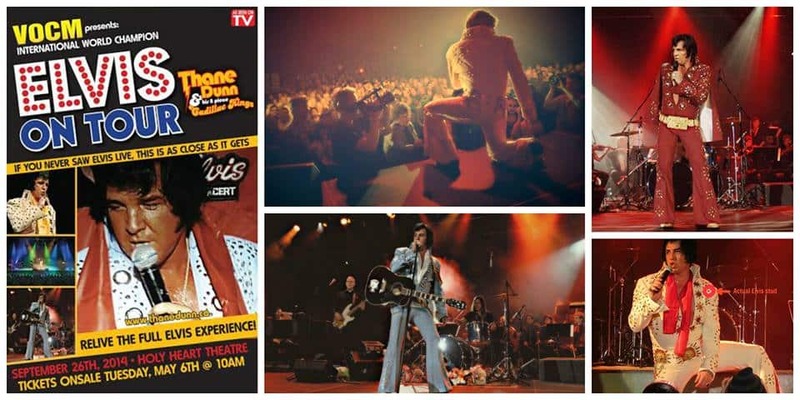 And Elvis will be in the CBC building....well, Elvis impersonator Thane Dunn will be here. He's a New Brunswick entertainer in St. John's with his show "Elvis on Tour." What do you love about Elvis? His music? His style? His legacy? Are you a fan?